Rancilio Portafilter Basket for Silvia. 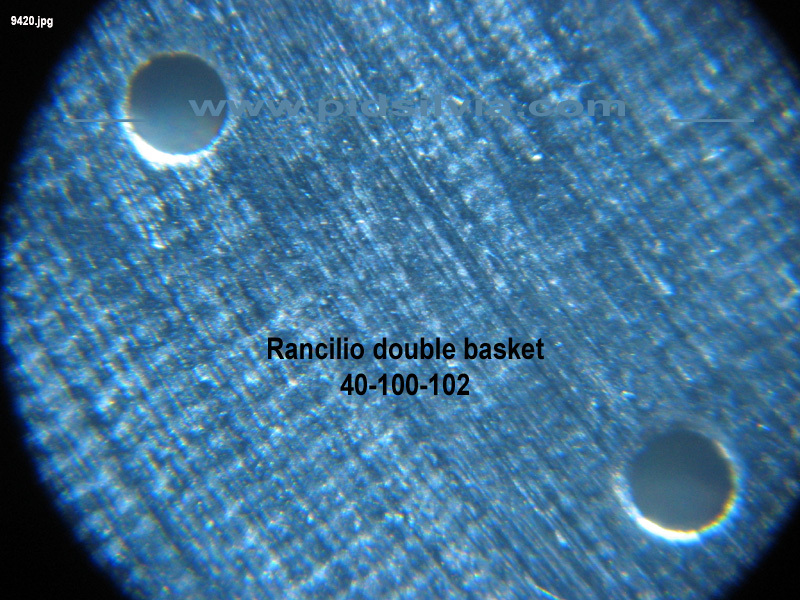 Start your learning with the Rancilio basket, part number 40-100-102 (14 grams). Later you can try the the 40-100-103 (18 grams). If you have a PID, but you are dosing the basket incorrectly, you might as well have saved your money and not bought the PID. As you will find out, uneven extraction is the main cause of bitter, harsh and astringent taste. The goal with any basket is to have the puck supported by the basket from the bottom and just touched by the screen from the top, (not too light and not too tight ) considering the coffee expanding or swelling during the process. 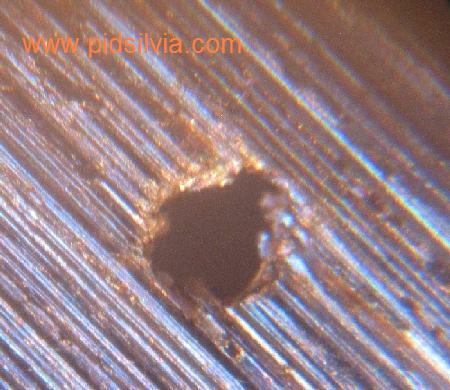 Too tight will create a plug, too light will create bad filter. The correct dosing with uniform coffee density and uniform distribution will create a good self-filter from which the coffee is uniformly extracted by water at the right temperature and under the right pressure. Bitter harsh taste is caused by over extraction. Over extraction is caused by: (a) too long extraction (time and/or water volume), and/or (b) water passing unevenly through the coffee, due to cracks or uneven puck density and/or (c) water temperature too high for the amount of coffee and the extraction time. Proper dosing (grind and amount), a good basket and an even tamp, together with the right water temperature, will prevent over extraction if the water is at the right pressure and the coffee is only exposed to the water for the proper time). Water temperature too high or too low, will influence positively or negatively the spectrum of tastes in the coffee. In general, with everything else optimized, if the water is too cold, there will be less coffee taste and if the water is too hot, the coffee will taste stronger (closer to bitter). For the basket you have two options when working with Silvia. You can use a deeper baskets as the Rancilio 18+ grams basket (103) that can hold more than a 2.5 dose and extract only 1.75 oz. (50ml), (1 dose = 7g x 2.5 = 17.5g) for example,21g, or 23g. When you use a larger amount of coffee, combined with a thicker coffee puck, the extraction is less influenced by hole size or basket hole quality. The thicker coffee puck provides more layers of coffee and that, by itself, acts as a filter. As a result, the basket holes are less significant in creating a uniform filter. However, deeper (larger) baskets may bring you other problems, such as 1st, physically fitting the basket shape to your existing equipment (for example, the 21g Rancilio triple basket will only fit in a bottomless Rancilio portafilter or other bottomless or specially sized portafilters); 2nd, extraction amount will exceed the traditional dose of single or double; and 3rd, extraction ratio from the top layers will be significantly greater than extraction from the bottom layers. You can use a conventionally sized basket to stay close to the traditional dosing (I.e. 7 g ± 0.5, of coffee to produce 25 ml ± 2.5 (including crema foam) or 14g of coffee to produce 50 ml± (including crema)) In that case, the hole quality or basket quality has a more significant role in the extraction. Because you have less coffee to act as a self-filter, the basket and the holes (together with packing and dosing) are more important in creating a uniformly filtered shot. I recommend working with option 2 for most users to minimize problems. learn the proper way to better improve your techniques and skills, it is possible to achieve great results. While a bottomless portafilter can help you improve your shots, mastering the conventional basket will help you improve basic techniques and skills that can be refined with a bottomless portafilter. Bottomless Portafilter now in Pidsilvia Store. 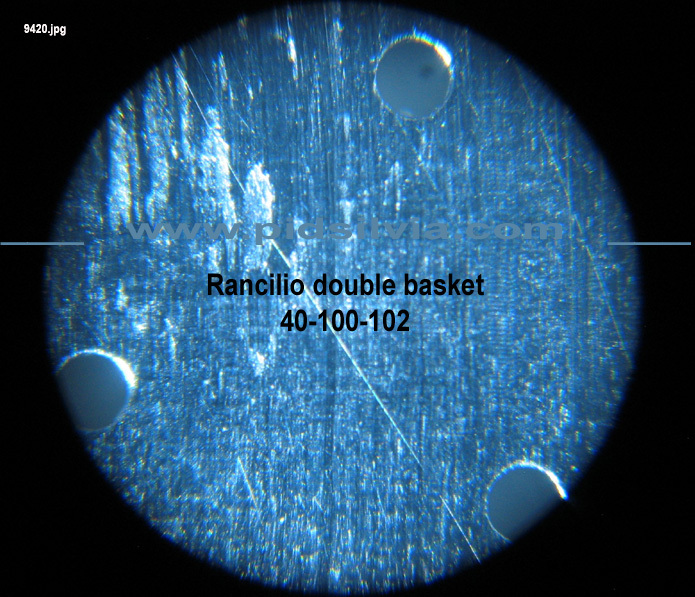 To assure the proper basket quality for option 2, I recommend the new Rancilio basket #102 described below--the guys at Rancilio did invest some time and experience in it. This basket will take 14 grams with no tamping / soft tamp (loose fill to the rim). Except for baskets made of Titanium, all baskets will gradually show signs of wearing out around the holes, with the first signs appearing after about 1000 shots, but producing a few more thousand acceptable shots. The better the basket at the start, the more likely it is to provide consistency over a longer useful life. 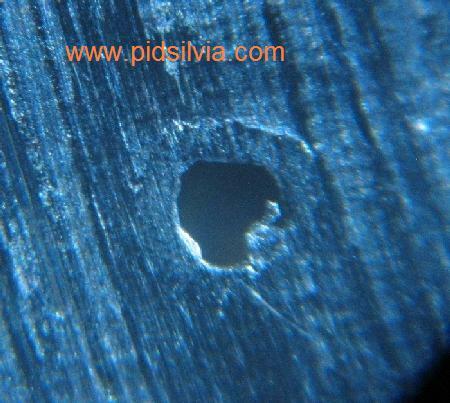 Surface is very smooth which helps in cleaning and puck release. 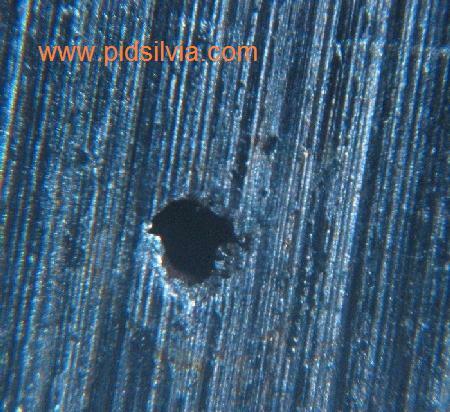 Hole quality and uniformity for size is very high. 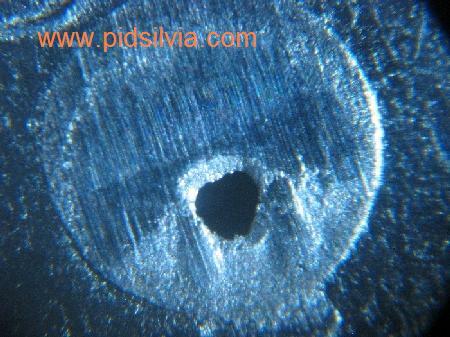 Holes are cut very precisely. Dosing the basket by volume (loose fill to the rim) will give you the correct dose for the bean type and roast level. Walls are tapered to gain some thickness for the coffee puck, and to compensate for the different extraction ratio from top layers to bottom layers. Dosing by weight or volume with tamping. Dosing by weight or volume with no tamping light soft tamping. 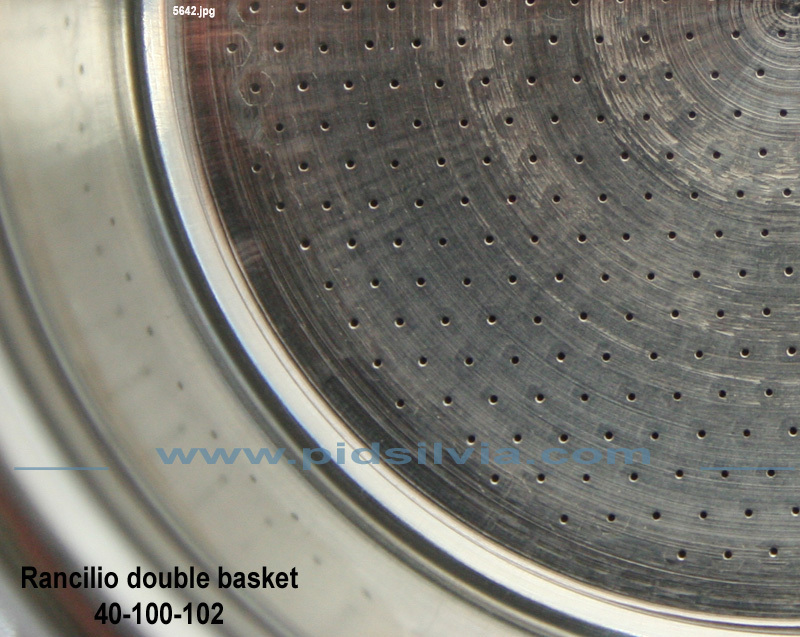 The new basket is part number 40-100-102 and you can get one at the Pidsilvia store. 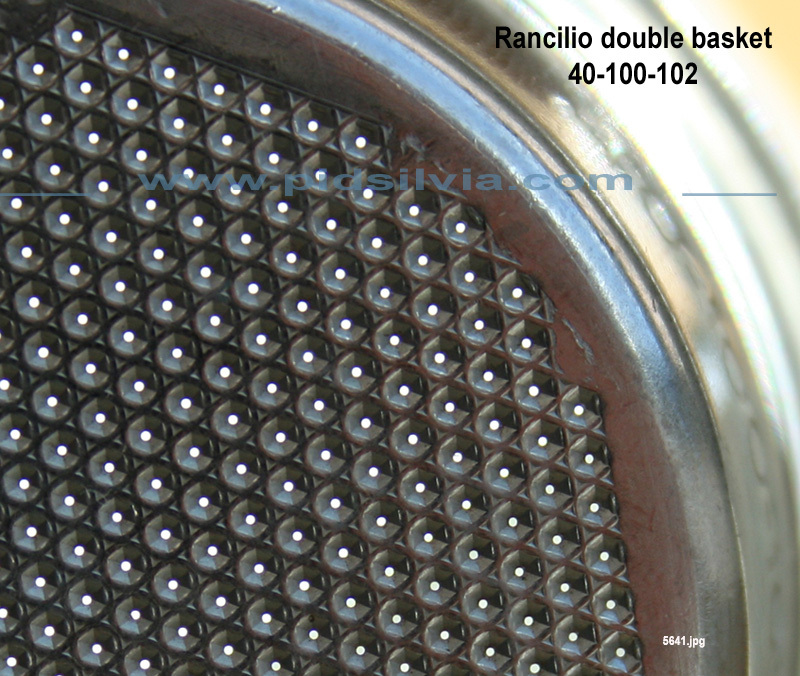 Basket with part number 40-100-010 is an older Rancilio model and it is not the same quality. 40-100-102 is now the standard basket on all Silvia V3 (the single shot basket with part number 40-100-101 has the same quality as the 40-100-102). Selling the new basket here. or check my or check my Online store. Dosing by weight or volume with tamping (firm tamping). You can read the Know your Rancilio Silvia. page why tamp or no tamp. Note: Tamping is not a must, but if you tamp, you must do it right. and know the positive and many possible negative effects. If you are new to espresso or have no good experience with tamping, I strongly recommend you use the no tamping option. Rancilio Silvia basket on Silvia. Note 1: Remember that fresh beans will produce more crema (foam), meaning high air content, older beans less crema, .The older the beans, the less crema you will get. When you read "2 fl oz or 1.75 fl oz. (50ml) at 25 seconds", it refers to fresh beans. so make your adjustment. You will produce less liquid in a properly extracted shot from old beans. An open bag of fresh beans will lose the ability to produce crema in a very short time, therefore you must adjust accordingly and reduce the extraction by volume, as the beans gets older, (if you want to use old beans). Note 2: Bitter harsh astringent taste caused by over extraction. 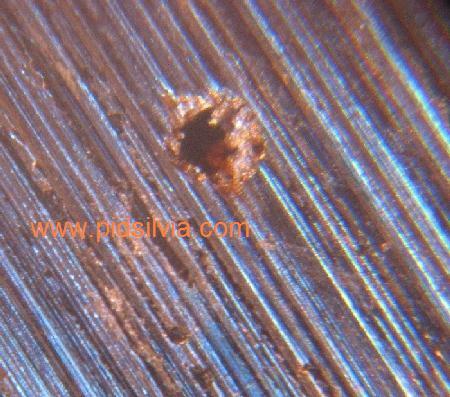 Over extraction may caused by: too long extraction (time and water by volume), and/or uneven water passing through the coffee puck, due to cracks or uneven puck distribution or density. Secondary cause is a very high water temperature. In this Clip you can see how the extraction becomes lighter and lighter, meaning more unwanted taste. Double Shot with Bottomless Portafilter. Rancilio basket # 40-100-102 rated at 30cc to line. #103 rated at 40cc to line.